Bluewood Lodges are superbly located near to the picture postcard traditional Cotswold village of Kingham. 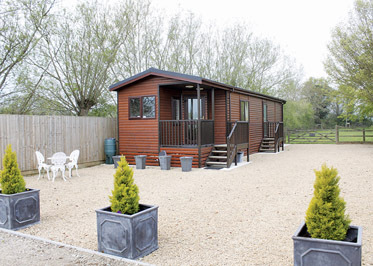 The lodges are found in a beautiful small bluebell wood in an Area of Outstanding Natural Beauty. 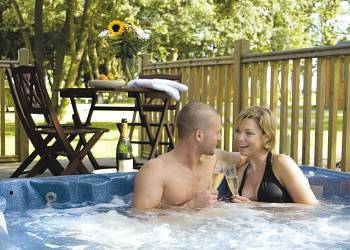 Bluewood Lodges are the perfect base for exploring the many charms of the idyllic Cotswold, and offer visitors a tranquil escape from the hustle and bustle of modern day living. Enjoying a rural setting in the heart of the Cotswolds on the Oxfordshire/Gloucestershire borders this compact modern lodge is perfect for fishing enthusiasts. Set in the grounds surrounding a carp fishing lake with beautiful views across open countryside it lies just 2½ miles from the delightful market town of Stow-on the-Wold with its good choice of shops pubs and restaurants. Bourton-on-the-Water and the Cotswold Wildlife Park are among a superb array of visitor attractions to be found within a short drive whilst only a little further afield visitors can enjoy excellent shopping and fascinating historical sites at Stratford-upon-Avon Cheltenham and Cirencester. Golf 4 miles. Pub 1½ miles shops 2½ miles.